Oakland Carpentry is a Staffordshire based company with over 15 years experience, specializing in the manufacture of bespoke wooden Stairs, Kitchens, Windows, Doors, Gates, Roofs, Barn conversions, Porches, Conservatories. 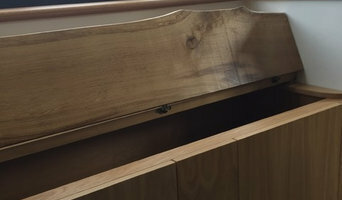 And handmade Furniture and cabinets using traditional joinery, We can supply many different timbers whether its hardwood or softwood ranging from English or European Oak, Mahogany, Maple, Idigbo, Cherry, Pine amongst many others. We are a team of carpenters with over 25 years of experience lead by Mr. David Critchlow. We cover a wide range of projects from Bespoke Furniture, Kitchens, To Complete Houses and Heritage Work. We offer quality workmanship at extremely competitive prices. We are always happy to advise and work with you to achieve your own bespoke designs and dreams... In the Boss's Words: " IF ITS MADE OF WOOD, WE MAKE IT "
Whether it's getting your home remodeled or fixing damage that's been done to your home, we're here to help you every step of the way. ASF Joinery, A local tradesman for the local community so I really mean it when I say I am here to help you. We offer a bespoke service on all interiors specialising in handmade kitchens and reclaimed furniture. 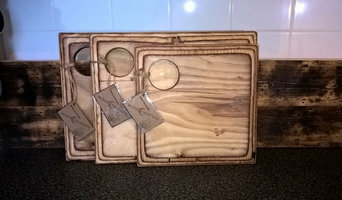 We also make home decor and art pieces from reclaimed woods. One to one creative carpentry workshops are also available to book with designer maker Adam Littlewood at his studio in the makers yard, in the heart of Leicester's cultural quarter. 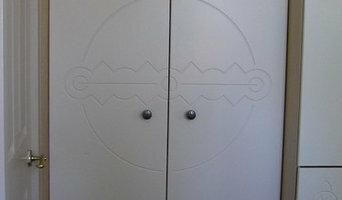 Makers of bespoke joinery products , working in both modern & traditional style. We are a small family business based in Buxton in the Derbyshire Peak District. Highly qualified and experienced in all aspects of bespoke joinery, carpentry and fitted furniture. We specialise in offering high quality crafstmanship for any unique woodworking project large or small, free unbiased advice and affordable pricing to suit all budgets. We manufacture and install all types of bespoke, architectural and purpose made joinery to exact customer specifications. From a winding staircase in a new build home to a traditional sliding sash window in a period property we have the experience and knowledge to offer our customers a high level of skill and craftsmanship whilst maintaining a realistic pricing policy to make all our work affordable. We are happy to work directly with home owners or architects and interior designers to provide a full service for any bespoke joinery and carpentry project large or small. Established in 1958 we are a family run business that have been manufacturing and installing joinery products for over 60 years. We have built a reputation for providing the highest quality of products and services through the utilisation of our state of the art CNC machinery and tooling. At our 12,000 square feet factory in Nottingham we have the facilities to produce what ever you may require. A family run carpentry business, covering every aspect of carpentry in Leicestershire and surrounding areas, Mick is truly your local and friendly tradesman. Michael Smyth is a fully qualified and time served carpenter with over 40 years experience. Michael achieved his apprenticeship with a well respected local building firm gaining a grade 1 credit in advanced city and guilds. Michael then teamed up with his father Kevin Smyth to gain experience in shuttering/ form work, as well as concrete stairs and roofing. Following tradition Michael now works alongside his own son Kevin Smyth, providing excellent services and workmanship whilst maintaining excellent relationships and a hard earned reputation. His experience extends to all aspects of domestic and industrial carpentry from hanging doors and laying floors in the home to heavy onsite work such as shuttering and roofing. Reliable and friendly, Mick has a ‘no job too small’ attitude and places great store in old fashioned values of honesty and craftsmanship. He has worked with large organisations such as Hilton Hotel, Alton Towers, McAlpines, Langs, several universities, NHS Hospitals and considerable schools. Mick also enjoys working to individual specifications and creating beautiful one off pieces. A small family business that delivers a personal service with a professional finish. Picture We are a dedicated joinery firm based in Chaddesden, serving the whole of Derby and surrounding areas. A G joinery specialise in all fields of joinery, including the design and manufacture of bespoke furniture, Internal/external doors, Kitchen and bedroom installation, Worktop replacement, Solid wood and laminate floors, Decking, fencing and gate installation. We are committed to meeting our clients requirements, providing high quality craftsmanship and excellent customer service. If you have any questions regarding any projects or would like us to drop by and have a look at something for you then please use the contact form on this website or call us on 07966547850. Bestow Joinery & Interiors are a family run business with over 25 years of experience in Traditional Joinery Bestow Joinery & Interiors has a proven track record of innovative designs, effective problem solving and attention to detail and our goal is to meet and exceed the expectations of every customer. We take on all types of jobs from small domestic work to larger commercial projects, all carried out to the highest standards, and at very competitive prices. Family run business, working through all aspects of building projects. With over 20 years' joinery and carpentry experience under my belt, and a friendly, professional and reliable approach to my work, you can trust me to create beautiful bespoke pieces of woodwork for you. Highly recommended and reputable, Douthwaite Carpentry, Joinery & Building Services is a well established business specialising in all aspects of Joinery and Building work. Douthwaite Carpentry, Joinery & Building Services have 25 years of experience in the building trade and are committed to providing a professional, yet personal building service. With our wealth of experience we have extensive knowledge and expertise in all aspects of joinery and building work, from specialist joinery, kitchen, bedroom and bathroom installations, to extensions, conversions and complete new builds and property maintenance. We pride ourselves on completing all work to the highest of standards and providing an efficient, professional, respectful service, working in budget, finishing work on time and leaving your premises clean and tidy. Welcome to Surewood Joinery Ltd, specialists in all aspects of interior refurbishments and bespoke joinery in Nottingham. Based in Buwell, we have over 20 years experience in the joinery trade, offering a comprehensive range of services including wooden staircases, shop fitting, box sash windows and wooden doors to name a few. Our aim is to please our customers with personal attention, good service and first class work. We also have a conscientious workforce that take great pride in their work, enabling us to maintain our traditional high standards. When deciding whether to employ a joiner or carpenter in Derby, Derbyshire, it is best to pick your professional according to their experience on projects similar to your own. For example, installing bespoke joinery such as a staircase involves significant structural work and you might want to work with a carpenter in Derby, Derbyshire with considerable experience in bespoke staircase joinery. You will often find you need to employ both a carpenter and joiner on a single project, and some firms will offer both skillsets which can simplify your overall hiring process. Where can I find a good Derby, Derbyshire carpenter or joiner? 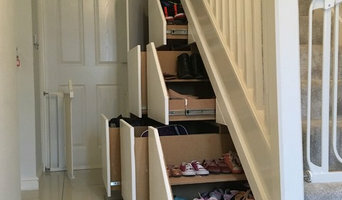 On Houzz there are many professional Derby, Derbyshire carpenters and joiners that specialise in providing a full carpentry service or bespoke joinery in Derby, Derbyshire, whether dealing with fitted or freestanding, traditional or contemporary furniture. Simply search for a joiner or carpenter in Derby, Derbyshire in the Find Pros category, then add images of designs that you like to an Ideabook and contact those on your shortlist. If you need reassurance beyond photos of their work and reviews of previous clients, then you might check to see if the carpenter or joiner is a member of The Institute of Carpenters (IOC), The Guild of Master Craftsmen, the British Woodworking Federation (BWF) or the Federation of Master Builders (FMB). Each asks its members to meet a certain level of expertise and abide by a code of conduct. Have a face-to-face consultation – basic brief and image references in hand – see which joiner or carpenter in Derby, Derbyshire is the easiest to get along with and who best understands what you’re trying to achieve. How long have you been a joiner or carpenter in Derby, Derbyshire? Do you offer bespoke joinery in Derby, Derbyshire as well as standard carpentry? Find a carpenter or joiner on Houzz. 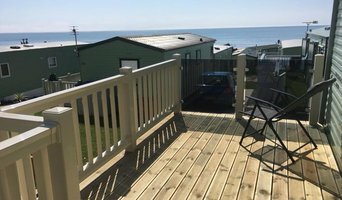 Narrow your search in the Professionals section of the website to Derby, Derbyshire joiner and carpenter professionals. You can also look through photos of woodwork and bespoke joinery in Derby, Derbyshire by style to find a design you like, then contact the joiner or carpenter in Derby, Derbyshire that worked on it.